Brahmasthan and can also contribute towards a national Yagya for your country. 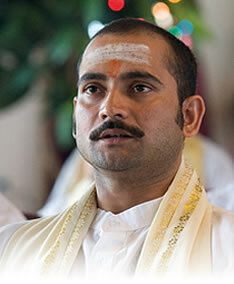 Donations to support the training of Maharishi Vedic Pandits also contribute towards a national Yagya for Canada. Your donations not only help create world peace, they also bring profound benefits to our nation. Income Tax Credits: By donating to Brahmanada Saraswati Foundation of Canada, a registered charity, you are eligible for a tax credit from the Federal Government, plus additional tax credits from your Provincial Government. First-Time Donor's Super Tax Credit: If you haven’t made a donation to a charity since 2007, you may be eligible for a one-time additional tax credit of 25% for this calendar year’s donations. To donate by mailing in a check, please download a DONATION FORM by clicking here. Corporate: This donation is on behalf of my company. Would you like to celebrate an important event in the life of a friend or family member, to honor someone special, or to appreciate the memory of a dear one? You can make a donation to Brahmananda Saraswati Foundation acknowledging the influence and inspiration of your honoree. Your honoree will be named on your official donation receipt.